Hamsters love to forage for their food and store the same in niches and grooves of toys, twigs, and especially in sacs inside their cheeks. If you care to notice, hamsters continuously keep on nibbling or chewing on something as a trait, and this they do to keep their teeth from growing abnormally large. Hence, you should make it a point to offer your pet hamster-specific food items that she can nibble on almost incessantly without making her fall sick. As far as carrots are concerned, this type of vegetable can serve as a healthy food enabling your pet to nibble on it chronically thereby keeping her teeth short and sharp. But do hamsters eat carrots and like them? 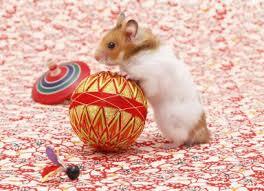 In the process of attempting to add variety to your hamster’s diet, you might consider experimenting with carrots. Since hamsters prefer to munch on crunchy vegetables, carrot as a vegetable is an excellent item of food that your pet may like to chomp away. Which Breeds of Hamster can Carrots be offered to? 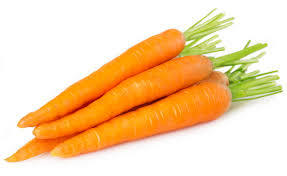 How much quantity of Carrot can be offered? You can start by feeding a section from a large carrot or a very small piece of carrot per week. Depending on her rate of digestion, you can increase the amount you offer. For instance, you can let her have up to a couple pieces in the first two weeks. Are Carrots Good for my Hamster? As it is with any new kind of food, you’ll have to start with carrots on a gradual basis. In this reference, attempting to feed your hamster sizeable amounts of the vegetable in the very beginning might make her ill. 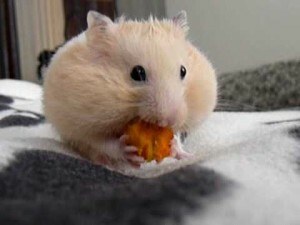 Carrots are usually good for hamsters, but as mentioned there needs to be a limited quantity (under observation) that is given to the creature each week. You should exercise a lot of caution while introducing carrots in her regular diet. But how’d you know that you’ve taken the appropriate steps that you’ll make your pet feel comfortable about consuming carrots? That is directly connected to the way it behaves when offered carrots. If the pet feels uncomfortable eating carrots, there’ll be some telltale signs. For instance, if your hamster is allergic to carrots, she’ll regurgitate or vomit or experience bouts of diarrhea. 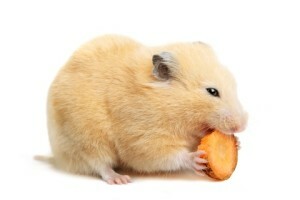 Do Hamsters eat raw carrots? Always watch out for any abnormal or unusual signs following the introduction of any new item of food to Hamsters. Getting your hamster to eat carrots is simple but you’d be better off taking some mandatory measures like washing them, peeling them, and preferably cutting them up into tiny bits. Do not force her to eat if she is averse to carrots and doesn’t find them appetizing and in case she feels uncomfortable taking the same, get in touch with a veterinarian almost immediately.